Explore HK Lantau island attractions! 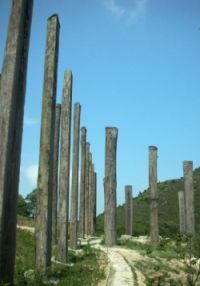 Lantau Island attractions has HK's biggest Country Park area comprising lot of must-see wonders. Know the most efficient route on How to Get There. Lantau Island is the largest outlaying island in Hong Kong, almost twice the size of Hong Kong Island. More than half of it has been designated as Country Park area. 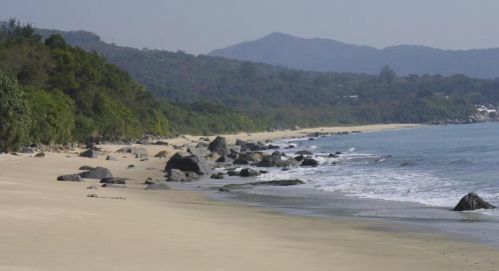 Its tranquil and green environment makes it a popular spot for nature's lovers and hikers. To complete a day of your Lantau Attractions journey, you should take the Ngong Ping 360 Cable Car ride, the Hong Kong's newest culturally-themed attraction from Tung Chung to Ngong Ping Village. Few statues anywhere in the world have such a powerful pull on the imagination as the Giant Buddha gazing serenely on the Po Lin Monastery from its hillside site at Ngong Ping on Lantau Island. Enjoy a vegetarian lunch served by the monks before visiting Cheung Sha Beach, Shek Pik Reservoir and Tai O Fishing village. Visit and see the Giant Buddha, the world's tallest outdoor seated bronze Buddha. 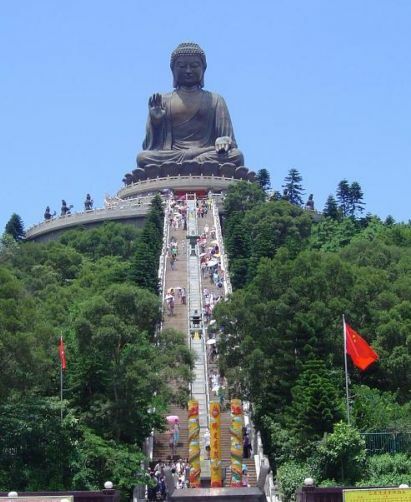 The Statue sits serenely atop Ngong Ping plateau in the middle of wonderful mountain scenery of Lantau Island. The majestic figure of the seated Buddha (or Tian Tan) is 34 meters high, was cast in China and took 10 years to complete. Weighing 220 tons, it was unveiled in 1993. Open to visitors daily from 10 am to 6:00 pm (last admission5:30 pm). Lantau-Island is one of the most remote and scenic areas of Hong Kong. See the dramatic Ngong Ping plateau at 460 meters above sea level where monks settled in the early part of the 20th century to establish Po Lin Monastery. Visit and see the Po Lin Monastery, a sacred spot for devout Buddhist in Hong Kong. Also, visit the Wisdom Path, an outdoor replica of the centuries-old Heart Sutra, one of the world's best known prayers that is reserved by Confucians, Buddhists and Taoist alike. The Sutra is displayed in wooden pillars placed in the form of infinite figure which symbolize the immeasurable splendor and infinity. Here's How to Explore Lantau Island with the most efficient route. Get off at Kowloon Tong station. Interchange trains to the Kwun Tong Line going to Yau Ma Tei but you should get off at Prince Edward station. take about 4 minutes walk thru Exit B to Ngong Ping 360 Cable Car Terminal. Alternate route from Lo Wu (if coming from Shenzhen China) and you wanted to go directly to Ngong Ping, here's how to get there. Take the MTR East Rail Line trains all the way to Hung Hom station. take Exit J. Walk about 6 minutes to the Star Ferry Terminal through TST promenade to get a chance for a quick visit to the Avenue of Stars and a glimpse at the beautiful Victoria harbour. Take the popular HK icon Star Ferry to Central Ferry Pier (9 minutes @ HK$2.5). Walk to the adjacent Pier no.6 and take the Ferry to Mui Wo, Lantau Island. Fast Ferry = 35 to 40 minutesUpon arrival at Mui Wo Pier, nearby you'll find the Mui Wo Ferry Bus Terminus. Get into the "New Lantao Bus" No.2 that will bring you to Ngong Ping. Bus travel time is about 40 minutes @ HK$17.2 (Mon-Sat) and @ HK$25 (Sun/Public Holidays). Half fare for child below 12 yrs old and seniors above 65 yrs old. And if you're coming from HK airport (HKIA) and wanted to go directly to Ngong Ping and explore Lantau tourist attractions, then here's the most efficient way. take the NP 360 cable car to Ngong Ping. It takes about 25 minutes for a spectacular cable car ride @ HK$115 round trip ticket (recommended), and @ HK$80 for single trip (not recommended). Here's to read more information about Lantau Island Shopping. 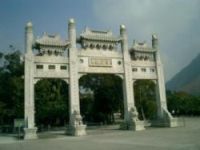 For more Lantau island tourist attractions information please click here. "What's NEW in Hong Kong Lantau Island?" Tai O road traffic is suspended after severe floods. Hong Kong Director of Highways announced that it will take at least two weeks before road traffic leading to and from the fishing town can be partly resumed as a lot of flooded areas affected by the Saturday, June 7, 2008 heavy downpour on Lantau Island. "It is quite dangerous to do clearance work at the moment. We can still see lots of water flowing along slopes, and some slopes are quite unstable. Our goal is to try to open one lane for road traffic in two weeks". Some parts of Keung Shan Road were badly affected by landslide, and foundation work of the road was also badly damaged. Wanted to share your Lantau island experience or got any inquiry about it? Do you have a great story about your travel in Lantau island? Share it!